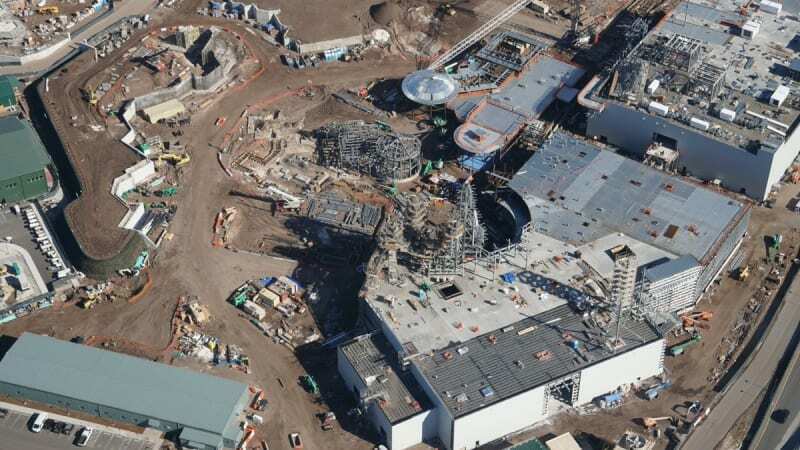 This is a Star Wars Galaxy’s Edge Construction Update for January 2018. 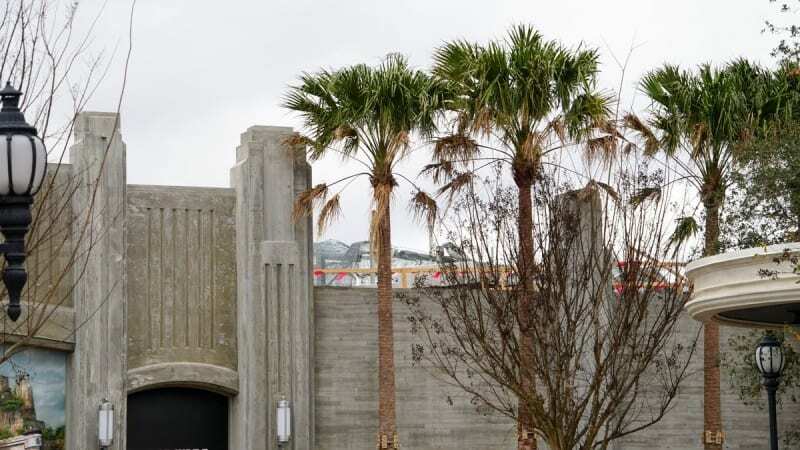 Lots of progress for the Millennium Falcon and First Order Battle Escape attractions have been made, along with the 2 Star Wars Restaurants coming to Batuu. 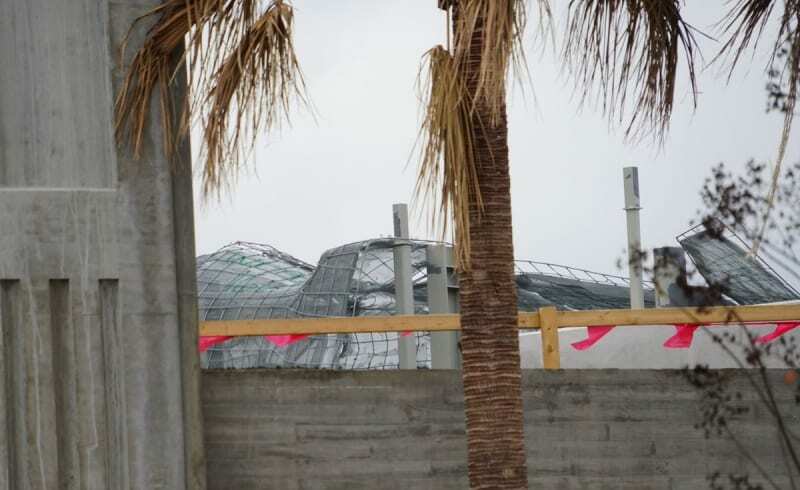 The smaller metal structures going up in front of them will be the 2 Galaxy’s Edge Restaurants, which just today had new permits filed. 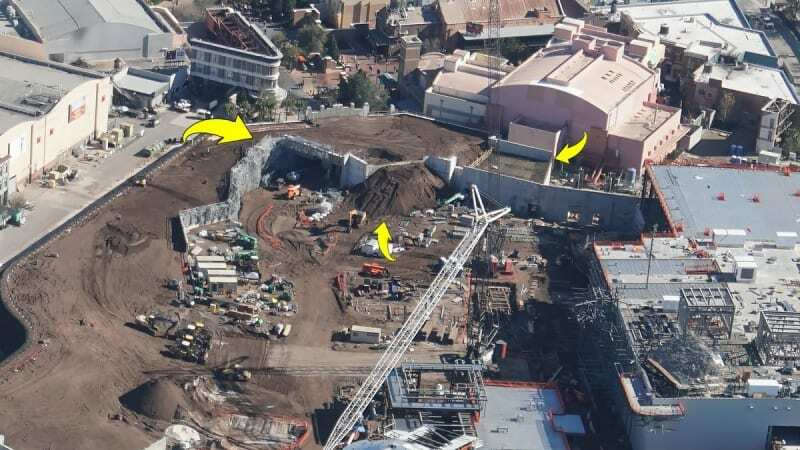 One will be a Star Wars Canteen and the other a table service restaurant with a show. 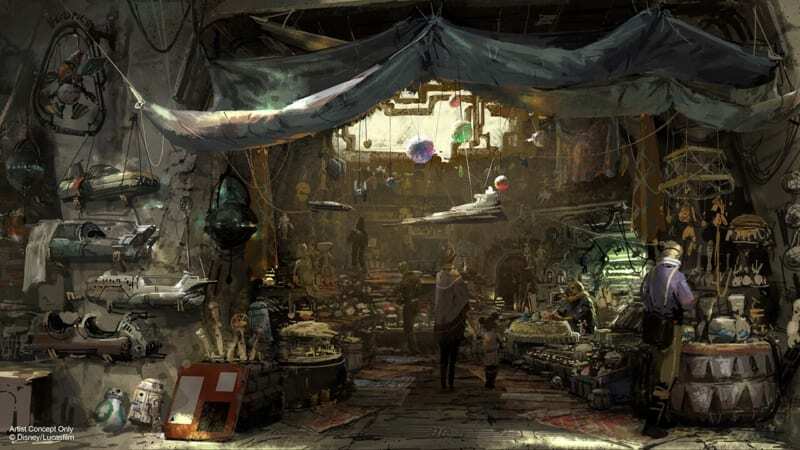 That whole area will be part of a system of tunnels throughout the marketplace in Galaxy’s Edge, which you can get an idea of from the following concept art. You can see the forms for those taking place in the above picture. 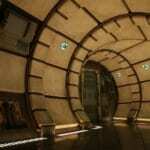 With every passing moment, I grow more eager for Star Wars land to open and experience everything to come! We’ll let you know more ASAP, including the opening date when we find out, as we are still waiting. 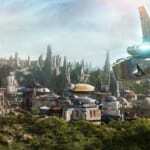 I want to know what you think about the Star Wars Galaxy’s Edge construction update for January 2018. 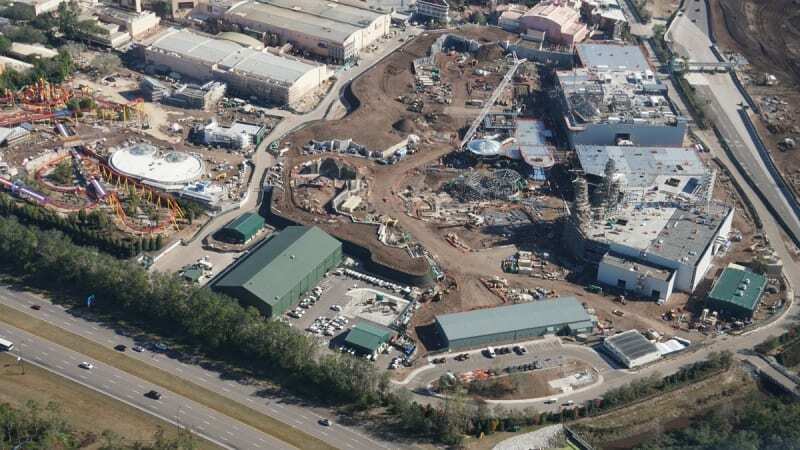 What do you think of the progress on the land and attractions? What about the Star Wars Restaurants? Let us know in the comments section below!